1. Your dog walker should surely be qualified and experienced enough to take care of the dogs. 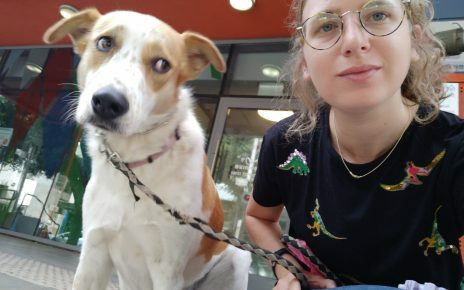 Whether the dog walker is a student and doing it as a part-time job or you are hiring a dog walker from a dog walking company, you should ensure that you do your part in getting the right dog walker. 2. Your dog walker should not charge you too much or too little. Make sure that you do your research on the market in order to see the usual rate. The rate charged by the dog walker should surely be along the same lines. Since all of us have a budget, make sure you hire a dog walker who you can actually afford. 3. Your dog should like and get along with the dog walker. This is a necessity as your dog must be comfortable in the presence of the dog walker. 4. The dog walker should also have relevant references in the market. You can always call and ask the person about the dog walker’s services. 5. If the dog walker offers other services, that is great, too. For example, ask your dog walker about services such as dog sitting, dog grooming, etc. 6. If the dog walker takes a lot of dogs out at once for a walk, you should make sure that he/she can control them all. Make sure that the dog walker takes only those dogs that have been given adequate shots and are immune to various diseases. 7. The dog walker should also have the right insurance in case something goes wrong. If your dog is injured or is bitten by another dog, the dog walker’s insurance should cover it all. 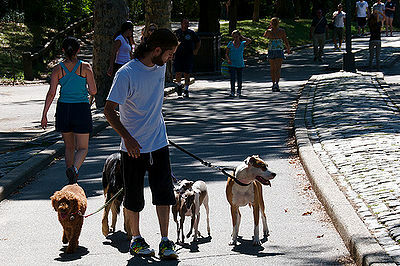 These are the desired qualities which your dog walker should possess. Make sure that you ask the dog walker all the right questions and look elsewhere if your current choice doesn’t possess the right qualities. Since there are so many dog walkers out there, the choice should not be too difficult.